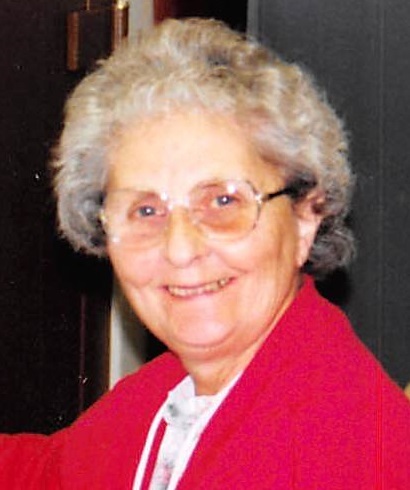 Obituary for Carolyn C. (Burke) Glidden | Varnum Funeral Home, Inc.
New Braintree - Carolyn C. (Burke) Glidden, 84, of New Braintree, died on Friday, January 18, 2019 at her home surrounded by her family. She leaves her husband of 64 years, Robert N. Glidden; one daughter, Joanne Harder, two sons, Robert N. Glidden, Jr. and his wife June and Richard Glidden and his wife Ellen; one brother, Michael Burke and his wife Victoria; six grandchildren and one great-grandchild. Carolyn was a devoted homemaker and worked as the New Braintree Town Clerk for 32 years and also worked as the office manager for R.N. Glidden Landscaping Service. She was a member of the New Braintree Congregational Church and was the secretary of the Tri Parish Church. A Funeral Service for Carolyn will be held on Wednesday, January 23, 2019 at 10:00 AM in the New Braintree Congregational Church in New Braintree. Calling hours will be held on Tuesday, January 22, 2019 from 5 to 7 PM in the Varnum Funeral Home, Inc., 43 East Main St., in West Brookfield. Memorial donations may be made to the New Briantree Congregational Church, P.O. Box 202, New Braintree, MA 01531.